Found a Bee Swarm in Auckland, What do you do? 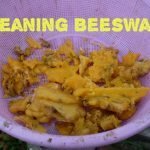 How To Clean Beeswax – Here is the steps we use to Clean beeswax. The beeswax can then be used in candles or cosmetic products. 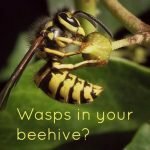 Wasps in your beehive – A Robbing Screen may help, we discuss using our Robbing Screen to deter Wasps and Honey Bees robbing your Bees. 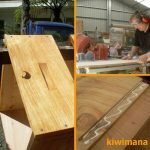 How to make a Beehive Box – An article about how we make Macrocarpa hive boxes at kiwimana. 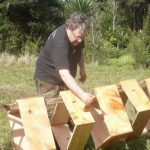 With tips on how to assemble your Beehive boxes. Every wanted a way to Paint a lot of Beehive Boxes quickly, here is the method we use to paint our boxes. Seed bombs can simplify the task of filling any empty space with flowers. 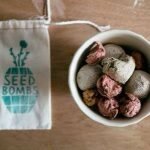 This post tells you how to make seed bombs and more. 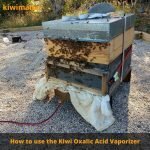 We have had great success with using the vaporizer to control varroa mites in our bee colonies, in this article we discuss the method involved in treating your bee hives successfully. 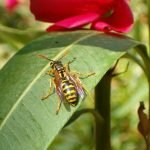 It’s the time of the year in the Waitakere Ranges that the common and German wasps/Yellow Jackets are out and about looking for a free meal, if you don’t want that free meal to come from your beehive read this article. 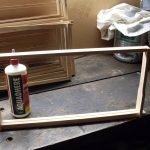 Beehive Frames – How to build Beehive Frames, here is how we manually build Beehive frames at kiwimana. 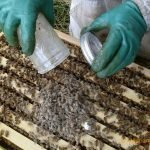 Powdered sugar shake – How to do a Powdered sugar shake to check the count of varroa mites living in your bee colony. A Step by step guide with thresholds. 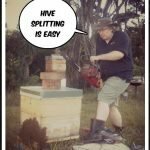 This article explains how we do hive splitting with great success. This disrupts the varroa mites and also increases your colonies.